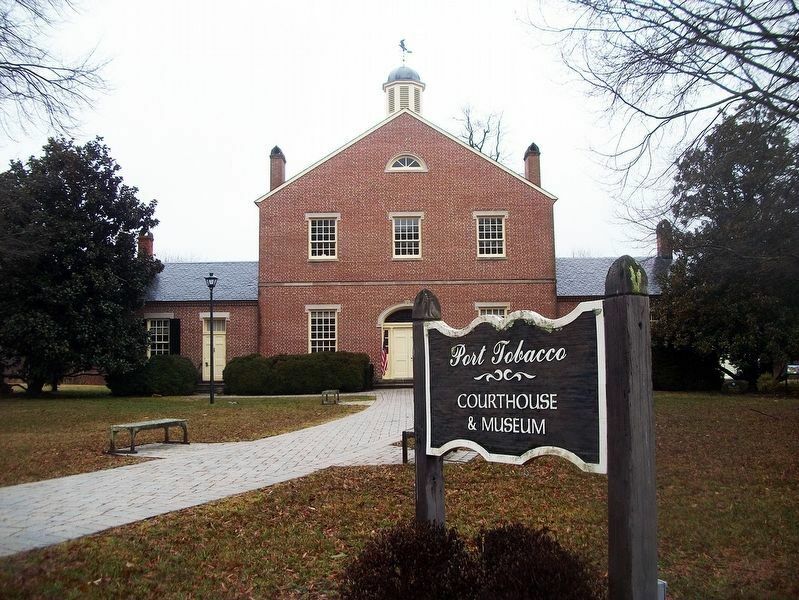 Port Tobacco was the home and place of business of George Atzerodt. Although he failed to murder Vice President Andrew Johnson, he was convicted and executed for his role in the plot to assassinate President Abraham Lincoln. Part of the plot—when it was supposed to be the abduction of the president to Richmond—was hatched in Port Tobacco, possibly at Atzerodt's carriage shop or his home (neither of which has yet been located), the Smoot Hotel, or at the St. Charles Hotel. 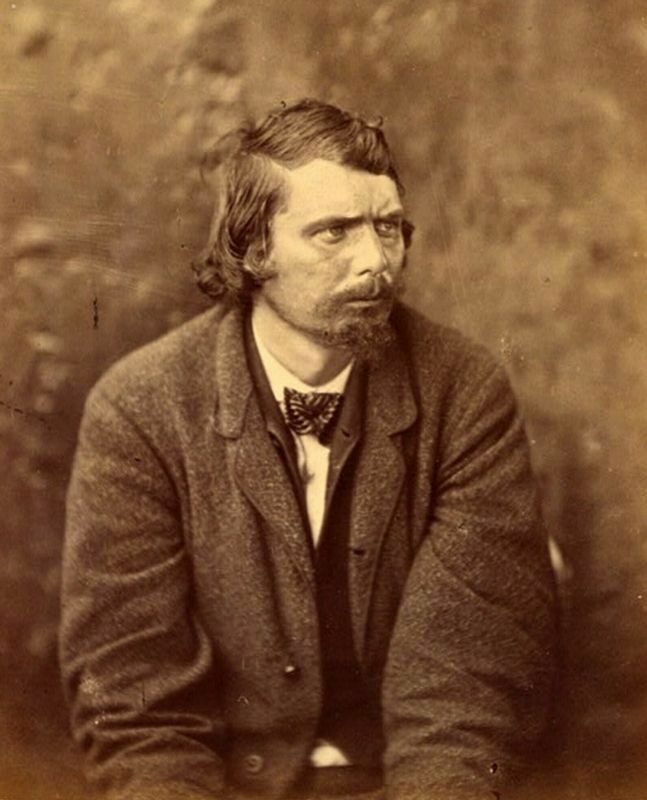 Atzerodt testified that conspirators John Surratt and John Wilkes Booth came to Port Tobacco several times. • discarded ammunition, • horseshoes, and • personal and uniform items belonging to the soldiers. Carriage Shop in Port Tobacco. Robert Barbour's (1942) sketch map of Port Tobacco showing the Smoot Hotel and St. Charles Hotel. Smoot Hotel, reputed Confederate rendezvous. It burned in 1883, the heat from which broke several windows in the courthouse nearby. From NRR. Above, Sharps .36 caliber bullets. Above Right, Inkwell and cover from camp. Right, Watch chain from camp. Erected by The Port Tobacco Archaeological Project, The Society for the Restoration of Port Tobacco, Charles County Maryland, Maryland Heritage Area. Location. 38° 30.667′ N, 77° 1.2′ W. Marker is in Port Tobacco, Maryland, in Charles County. Marker can be reached from Commerce Street west of Chapel Point Road when traveling west. Touch for map. 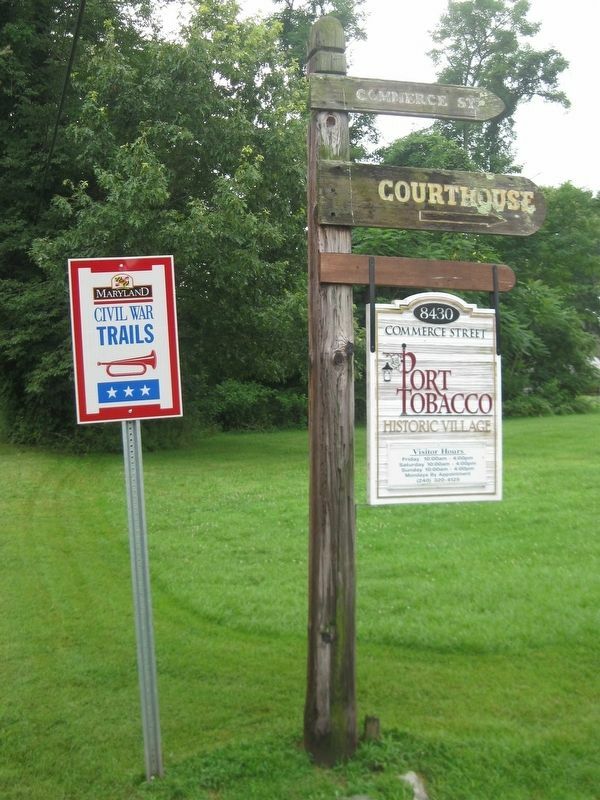 Marker is located in front of the Port Tobacco Courthouse & Museum. Marker is at or near this postal address: 8430 Commerce St, Port Tobacco MD 20677, United States of America. Touch for directions. steps from this marker); Port Tobacco (a few steps from this marker); On to Yorktown (a few steps from this marker); St. Columba Masonic Lodge (within shouting distance of this marker); Port Tobacco Jail (about 300 feet away, measured in a direct line); a different marker also named Port Tobacco (approx. 0.3 miles away); Daniel of St. Thomas Jenifer (approx. 0.8 miles away). 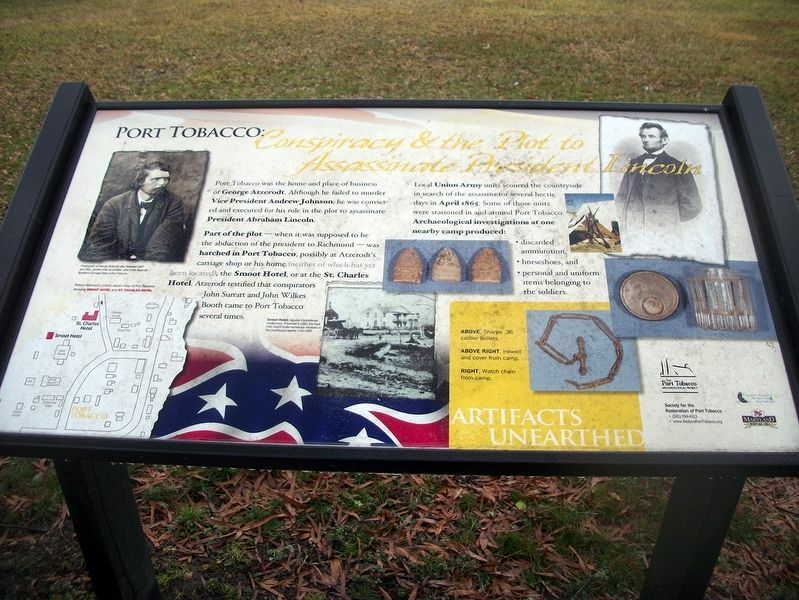 Touch for a list and map of all markers in Port Tobacco. 4. Port Tobacco Village Signs Along Chapel Point Road. More. Search the internet for Port Tobacco: Conspiracy & the Plot to Assassinate President Lincoln. Credits. This page was last revised on January 22, 2019. This page originally submitted on January 21, 2019, by David Lassman of Waldorf, Maryland. This page has been viewed 62 times since then. Photos: 1, 2, 3. submitted on January 21, 2019. 4. submitted on January 21, 2019, by David Lassman of Waldorf, Maryland. • Bernard Fisher was the editor who published this page.